Sunday, November 6 will be “Pay What You Want Day” at the National Aquarium. The day is a continuing effort to provide access to the Aquarium for Maryland residents. The day allows visitors to name their own price for aquarium admission. 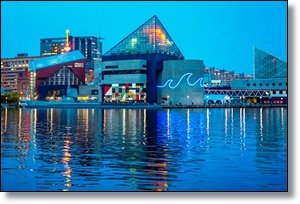 “We are committed to connecting our local residents to the aquatic world and our conservation mission,” said John Racanelli, National Aquarium CEO in a statement. “’Pay What You Want Day’ is part of a series of programs that ensure our communities have the opportunity to visit the Aquarium and be inspired by their 20,000 aquatic neighbors,” he said. In the past, the National Aquarium welcomed more than 7,500 guests to each of the previous Pay What You Want Days. The day is supported by T. Rowe Price, who is the Aquarium’s official community engagement partner. “’Pay What You Want Day’ enables families across Maryland with any budget size to visit and engage with the variety of species living in the National Aquarium,” said Renee Christoff, head of Corporate Social Responsibility at T. Rowe Price. To further help with the cost of a visit to the Aquarium, their official partner parking facilities are pleased to offer $10 parking to those attending “Pay What You Want Day” 2016. Guests can bring proof of their Aquarium visit to the LAZ Inner Harbor Garage at 100 S. Gay Street or Lockwood Parking at 124 Market Place for the discounted parking. For anyone who can’t make “Pay What You Want Day,” the Aquarium also has other opportunities for discounted admission. There are year-round Half-Price Friday Nights (Friday nights after 5 p.m.) and discounted Maryland Mornings for Maryland state residents visiting before noon Sundays through Fridays now through February 28. There are also Dollar Days coming in December. For more information about The National Aquarium and “Pay What You Want Day,” visit their website.